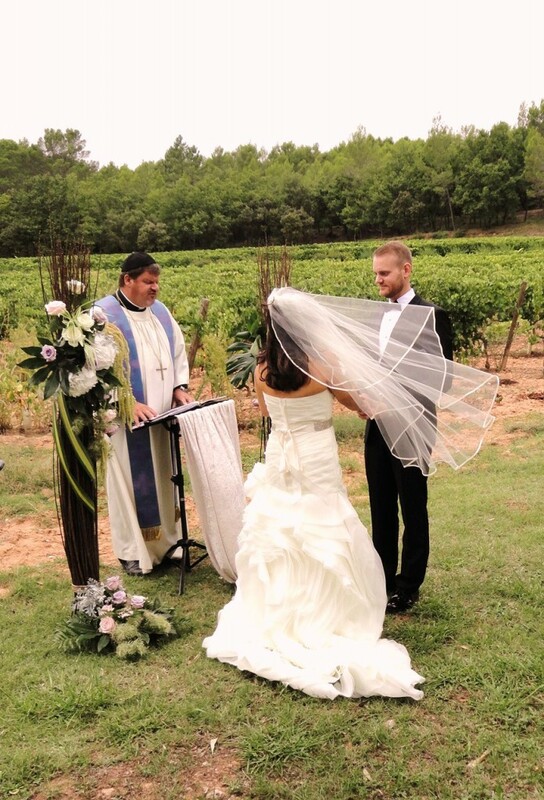 As you may know, I have created a specific package for couple who are thinking about an elopement to France. It’s not about getting married far from family and friends. It’s just the opportunity to live a unique and intimate moment for a couple. 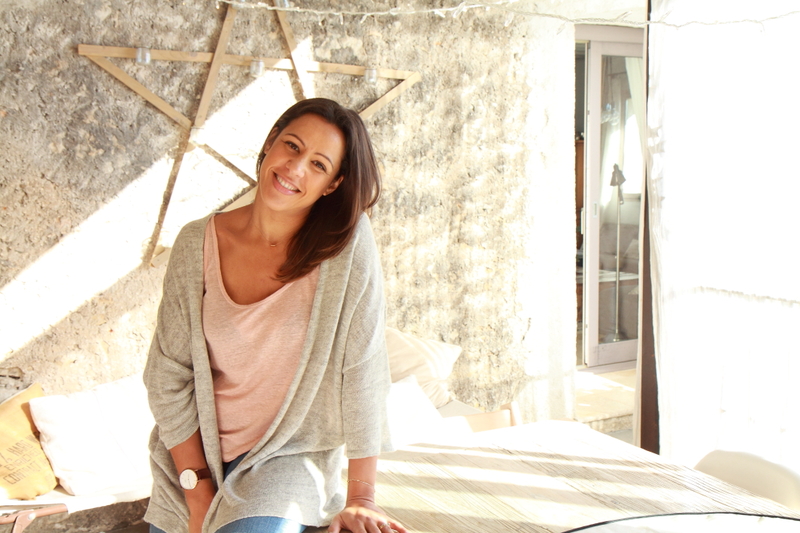 Most of my clients organise a kind of honeymoon before and after that specific day. That’s why this charming couple coming from the USA decided to renew their vows in French Provence. This elopement to France was indeed a great opportunity to spend few days in Europe. They were very impressed by the wedding venue, I found for them. 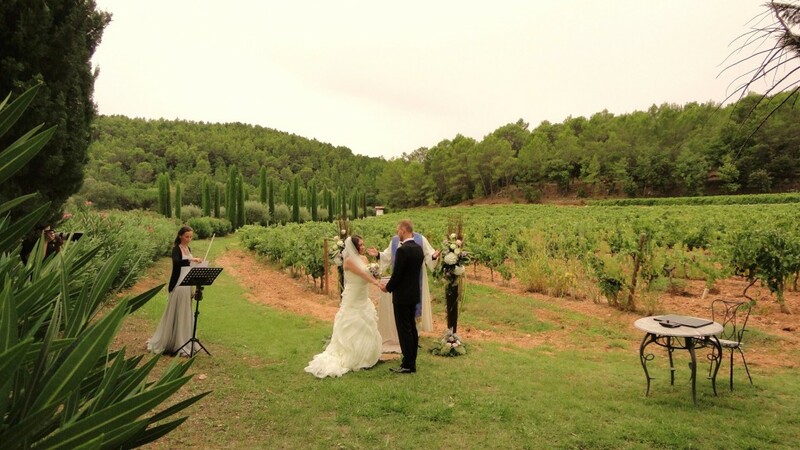 As a matter of fact, we organised the ceremony in a vineyard, at 1h30 from Nice airport. The bride can prepare herself in a beautiful suite of the 4 stars hotel, which is located in the middle of the vineyard. Beside, the groom decided to make a good suprise to his wife : a violonist was here during the ceremony to play her favourite songs ! Then a photographer spent 1 hour with the bridal couple to take pictures of this elopement to France. Last but not least, a table just for two was reserved and decorated at the gastronomic restaurant. Next year, we’re also thinking about doing a short film of this elopement to France. Bridal couples would be able to show the wedding ceremony to their families and friends ! When deciding on a wedding venue location, one of the most important elements is the romance factor. For some couples, it has to be a grandiose fairy tale wedding with all of the bells and whistles. Others wish for an intimate setting for only the two of them to revel in the magic of their day. Bonjour, je suis française et fiancé à un américain. Nous vivons aux Etats-unis et aimerions nous marier dans le sud de la Française, juste lui et moi. Je suis tombé sur votre blog et aimerais en connaitre plus sur le package que vous proposez. Que cela inclut-il exactement et quels sont les tarifs ?